This page is for the original version. For the remastered version, see BioShock 2 Remastered. Steam version DRM switched from Games for Windows - LIVE and SecuROM to Steam. The Steamworks patch introduced some audio level balance issues. Ragdoll physics and animations are locked at 30 FPS. Optional Steam unlock. Russian retail has separate achievements. Also includes SecuROM 7 and SecuROM PA DRM. All Windows retail and digital versions of BioShock 2 activate on Steam. Activation unlocks all DLC, including Minerva's Den. Included in the Steam version. A Title Update is available for the Games for Windows - LIVE version. The game should automatically prompt for the update when using a LIVE profile; the updates can also be downloaded manually (update 1, update 2). Download SoundMixStates.ini from Fix Quiet Guns and Unbalanced Audio - Restoring the Retail Audio Mix. Go to <path-to-game>\SP\Content\System and place SoundMixStates.ini inside. Use -nointro command line argument. Achievements and saves for the Steam and Games for Windows - LIVE versions are separate (a new game is required when switching versions). Use Flawless Widescreen or Widescreen Fixer with this plugin to fix HUD scaling. Use Flawless Widescreen to fix the HUD. No frame rate or refresh rate cap. Physics simulation and many animations are locked to 30 FPS. Custom FOV settings will not work in multiplayer. Use Flawless Widescreen or Widescreen Fixer with this plugin. Scroll down to the [Default] section and bind SetFOV # to any unused key (# being the desired FOV). During the game, press the key you defined in User.ini to set the custom FOV. Any custom FOV settings will be reset automatically at various times during gameplay when control is taken away from the player; i.e. for cutscenes. Zooming down iron sights will also yield this effect. Edit the line LevelOfAnisotropy=4 to LevelOfAnisotropy=# where # denotes the max level of AF supported by your graphics card(s). For example, change the line to read LevelOfAnisotropy=16. MSAA can be forced through your graphics driver's control panel. AO can be forced through your graphics driver's control panel. Mouse buttons 4 and 5 are not recognized by the multiplayer key binding menu, but can be manually bound in UserMP.ini. Replace Aliases=(Command="Toggle bDuck|Axis aUp Speed=-1200.0",Alias=Duck) with Aliases=(Command="Button bDuck",Alias=Duck). Edit the line AutoAim=True to AutoAim=False. Edit the line Vibration=True to Vibration=False. Scroll down to the [Default] section and bind InjectBioAmmo to any unused key. Scroll down to the [ContainerUIActive] section and bind CollectContainerItemInSlot 0, CollectContainerItemInSlot 1 and CollectContainerItemInSlot 2 to any unused keys. Keys work on Steam but Polish is not available in the Steam version. 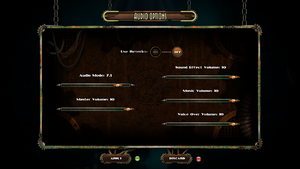 On some computers, user audio will cut out during combat sequences. 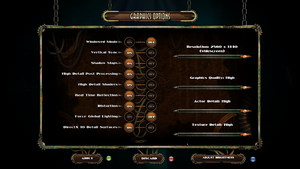 On some computers, the game's mouse sensitivity will be extremely low, and raising the values makes mouse movements imprecise. Set in-game sensitivity to "1"
Sort the folder by "Date modified"
Disable Vsync from the in-game settings menu. Force Vsync through graphics adaptor. Uncheck "Enable Steam Community In-Game"
Use the -nogamma command line argument. This glitch is especially likely when using the Scout-Plasmid. Therefore, it is advisable to quick save before using it. Make sure Vita-Chambers are enabled. Being killed and respawning should fix the left hand. This increases the size of the texture cache. 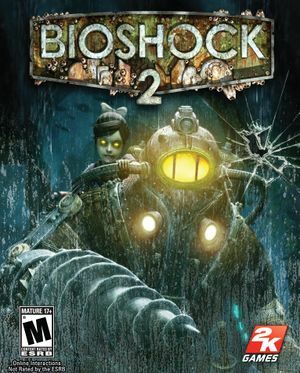 Open Bioshock2SP.ini. 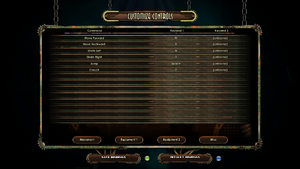 Steam users will find this in %APPDATA%\Bioshock2Steam. This switches the game to DirectX 9 instead of the default DirectX 10. Create a shortcut to Bioshock2Launcher.exe somewhere convenient. Right click this shortcut, select Properties, in the Target box add -dx9 in the text field after inserting space after the quotation mark. Now launching the game from this shortcut will force the game to run in DirectX 9. Running the game in DirectX 9 mode can mess with the brightness levels of the system, even after exiting the game. To fix this, simply remove the -dx9 switch, then run and exit the game again. This will uninstall Internet Explorer! On the top left "View installed updates"
After all the updates are displayed, simply search for KB2670838. Bug causes little sisters to become mute. Start > type "sound" > open the soundpanel. Right-click on your common sound device > go to the tab "advanced" > set sound quality to lowest (CD quality). After you made your changes, click OK.
A collection of mods are available at this thread. Edit the line HavokNumThreads=2 to represent the number of cores in your machine's CPU. For example, using a quad-core CPU, change the line to HavokNumThreads=4. A fake version of xlive.dll can allow you to play the single-player without having GFWL installed. Preexisting saved games are not compatible with this fix. 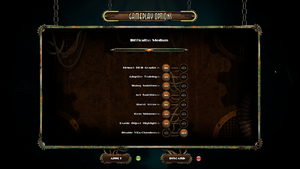 Download BioShock 2 fake xlive. ↑ 2.0 2.1 File/folder structure within this directory reflects the path(s) listed for Windows and/or Steam game data (use Wine regedit to access Windows registry paths). Games with Steam Cloud support may store data in ~/.steam/steam/userdata/<user-id>/8850/ in addition to or instead of this directory. The app ID (8850) may differ in some cases. Treat backslashes as forward slashes. See the glossary page for details. This page was last edited on 7 April 2019, at 09:31.